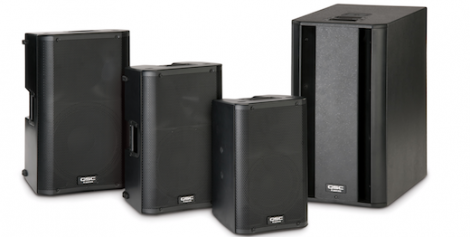 QSC K-Series powered speakers demonstrate their versatility and “K” pability. Thinking back to the winter NAMM show a year ago this past January, I recall QSC being very hush-hush about a product that was set to release that following spring. In fact, they were so secretive that they would not allow members of the press anywhere near the closely guarded entrance to the special bunker constructed in their booth. Obviously, they were well aware that the best way to get the attention of the press is to tell them you have something that they are not allowed to see. But the suspense was only momentary; before long, we were all telling our readers about the new K-series line of active loudspeakers. To refresh your memory, the K Series is made up of three full-range models (K8, K10, and K12) housed in rugged and relatively lightweight ABS enclosures. The KSub rounds out the lineup but forgoes the ABS in favor of birch plywood. So far, nothing to really write home about, but here’s where it gets good. Built right into the back of each of these models is a one-killowatt continuous Class D power module with a two-channel mic/line mixer that includes some very handy, “fix-it-on-the-fly” EQ adjustments. Inputs for each channel utilize combo XLR / 1/4” TRS jacks. In addition, the full-range models have a set of RCA connections for an iPod, portable CD player, or similar device. 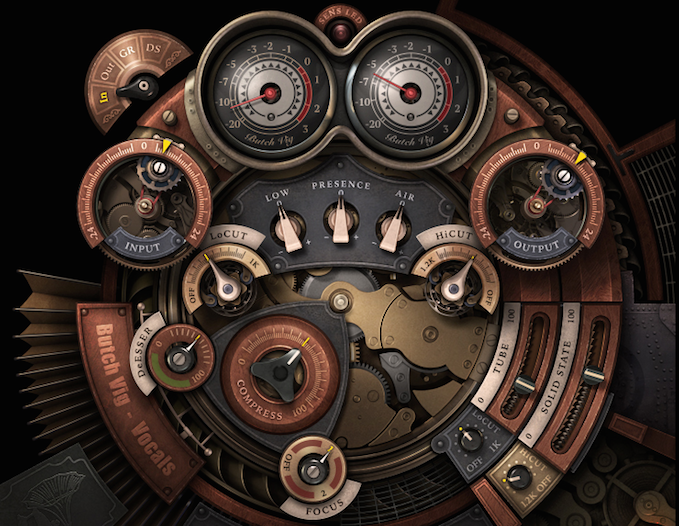 So, up to three audio sources can be summed to a balanced output and “daisy-chained” to additional units. So, what does this mean? 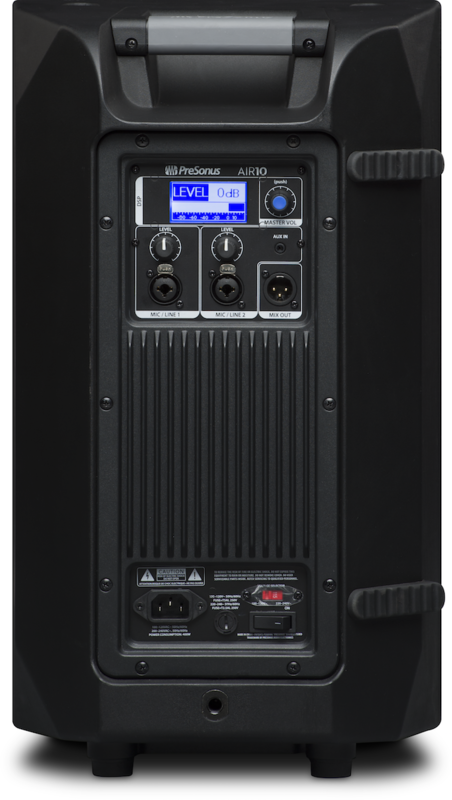 Well, for a solo act or track singer, you could leave your mixer home and use the inputs on the back of your QSC K-Series speaker of choice. For a slightly larger band, you could run your stage mixer into one unit and then simply daisy chain that single to the next, a handy option, should you happen to be using the “Ks” as stage monitors with a single monitor mix. 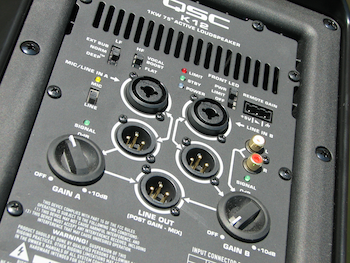 Taking a closer look at the back of one of the QSC K12s loaned to us for this review (see photo) we find two switches for selecting the loudspeaker’s preset EQ settings. The HF setting can be set to VOCAL BOOST when additional presence is desired in the critial mid-range area, QSC K12 Backor FLAT to maintain the integrity of the incoming signal. The second switch, labeled LF, can be set to NORM, DEEP™ (for a hefty boost to the bottom end), or EXT SUB when using the Ksub). Another feature worth mentioning is QSC’s Tilt-Direct™ pole mounting system, which allows you to mount the speaker with a 7.5° downward tilt to better focus the sound energy directly on the audience. 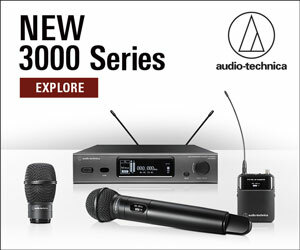 So, as you can see, this line of speakers offers a lot of options and possibilities. Now let’s load up and see ho they do on the road. Seldom, if ever, does it happen that I yank a product right out of the hands of the UPS delivery man and immediately take it off to play a gig. Well, I did that this time…and now I remember why I seldom, if ever, do that. Although active speakers are simple in concept, you can’t overlook the fact that these babies have a lot of power, and therefore require some special attention in terms of set up and placement. Not expecting a Saturday night booking, I decided the first place to put the two K12s and single KSub to the test was at the local church where I also serve as “sound tech” for the evening’s worship band rehearsal. The K12s weigh in at manageable 41 pounds each, which makes carrying both at once doable in most situations. I found that carrying them upright, using the handles on top was far easier than using the side handles, but that’s a matter of personal choice. Even when having to shlep them up a flight stairs, I found the K12s well-balanced and controllable. 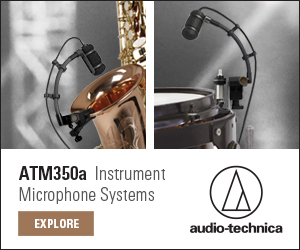 The task of hoisting them up on stands has been made easier by the inclusion of a large rubber foot on the bottom of each unit, which makes a great handhold when lifting the speaker onto a stand. For this application, I wanted to use the KSub as well as the two K12s. 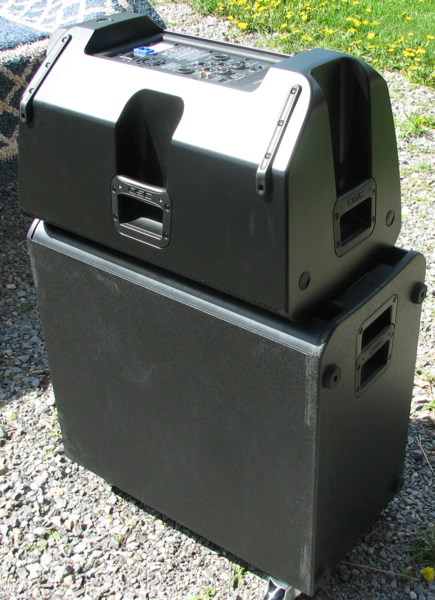 The sub has been designed with sturdy casters so it doubles nicely as a support vehicle for a road case or one of the 12s. 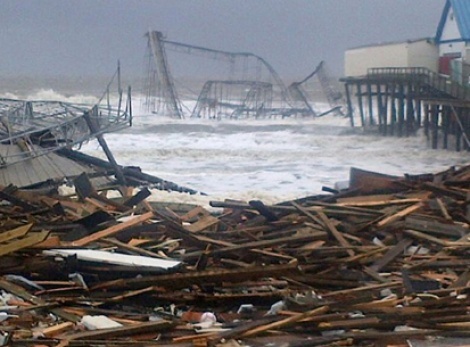 The only concern I have about the sub, and this comes from living in the great white Northeast, is the lack of protection to the electronics while in travel mode. If you live in an area where snow and slush mound up in the winter, you may want to fashion a cover for the electronics. Hey, I’m just sayin’. With our two K-Series full-range cabinets and sub in position (the sub, BTW, pulls its signal directly from one of the K12s) it was time for band practice to begin. The EQ switches for left-side K12, which was driving the sub, were set at EXT SUB and VOCAL BOOST. The right-side’s LF switch was set at NORM. After a few tweaks on the soundboard, practice began. The keyboard (a Yamaha Clavinova) needed a little more bass, so I dialed in some additional low end for the KSub to munch on. Then there were the vocals. The K12s brought the vocals across so crisply and cleanly that, for a moment, the singers them selves stood awestruck. Simply put, these speakers sounded very, very good. Read part 2 of this review here.